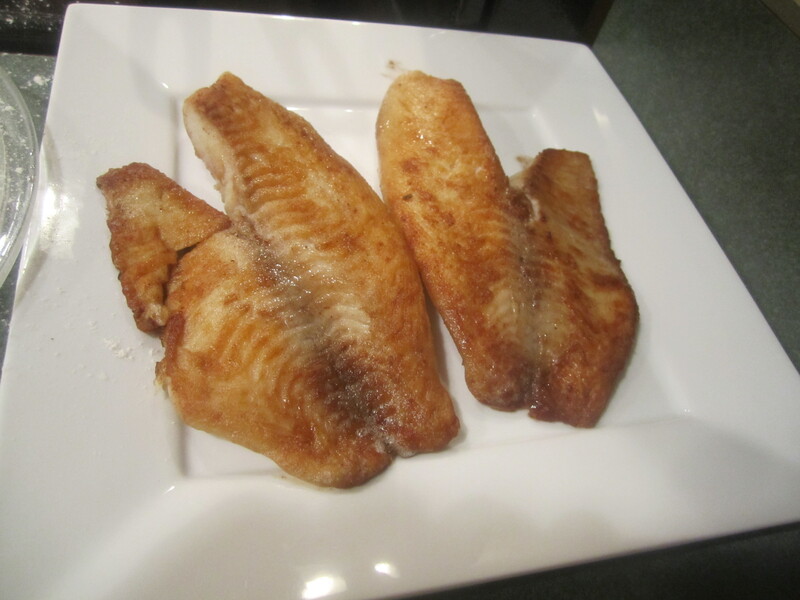 Tilapia is a great fish to cook with. It’s inexpensive and readily accessible and there are no tiny fish bones to worry about. It’s a mild tasting fish but that can be a good thing. It lends itself to a myriad of different flavors. 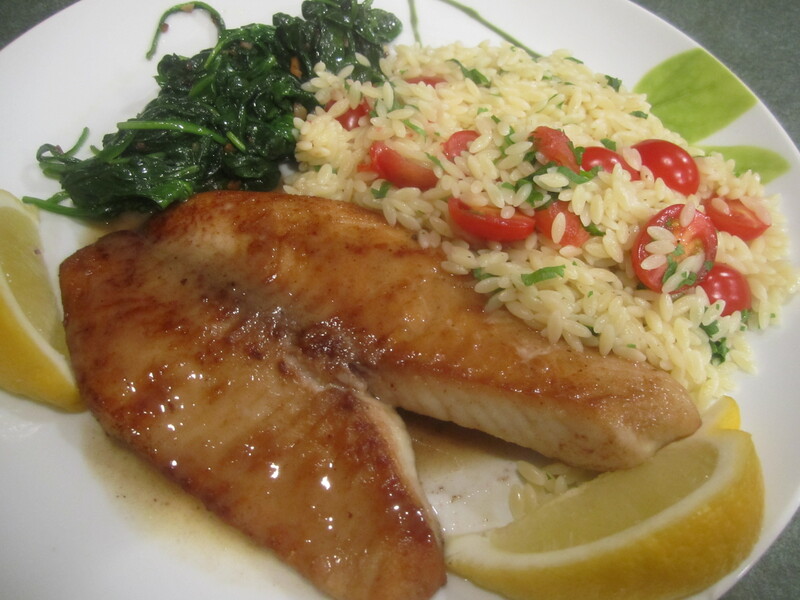 This recipe is one example of the versatility of Tiliapia. 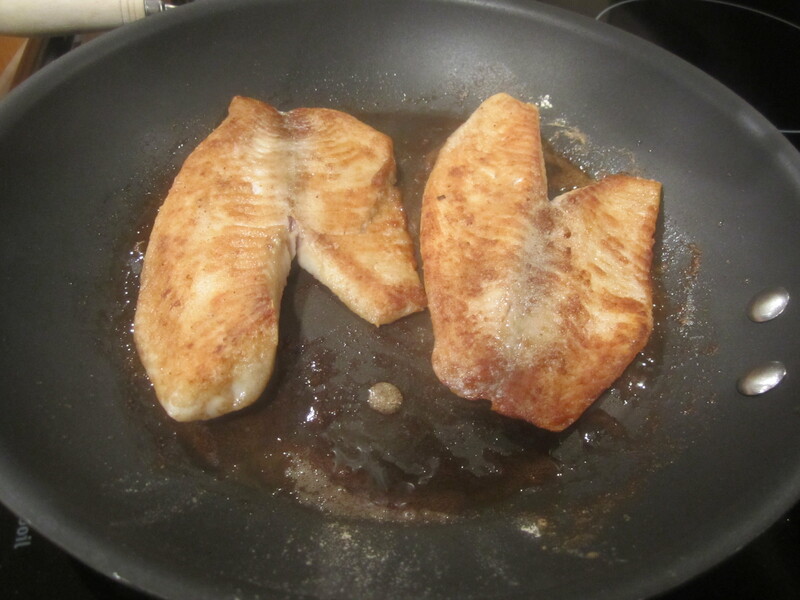 Pan frying is a great option because of the fish’s firm texture, it will not tear up too easily in the pan. Put a large pot of water onto boil. Place parsley in mini bowl. Put 1/4 teaspoon salt and 1/8 teaspoon pepper in another mini bowl. Cut tomatoes and put them in a small bowl. Combine remaining 1/4 teaspoon salt, remaining 1/8 teaspoon and flour in a large shallow dish, like a glass pie plate. Dredge fish in flour mixture. Set aside the butter, wine, lemon juice and capers (if using). 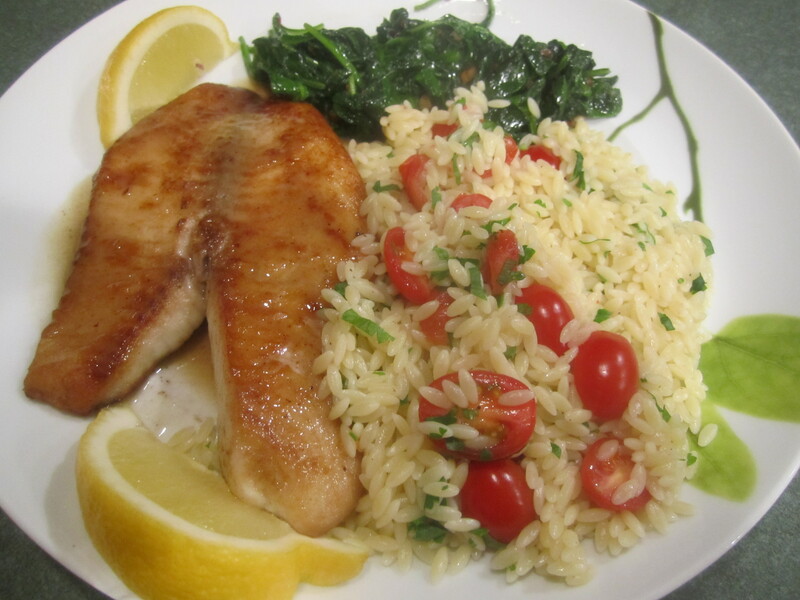 *Because of this step, I was able to cook the fish and the side dish of sautéed spinach in 11 minutes, the time it took to cook the orzo. I think this was one of the quickest and most delicious dinners I have made. When the water comes to a boil, add your orzo, omitting salt and fat, cooking for 11 minutes, or whatever the directions on the box says. 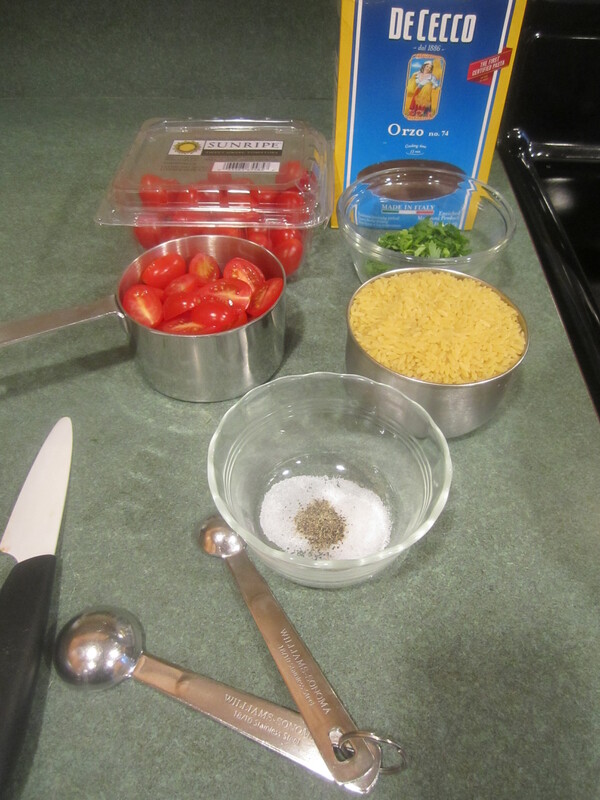 While the orzo cooks, melt 1 tablespoon of butter in a large nonstick fry pan over medium/medium high heat. 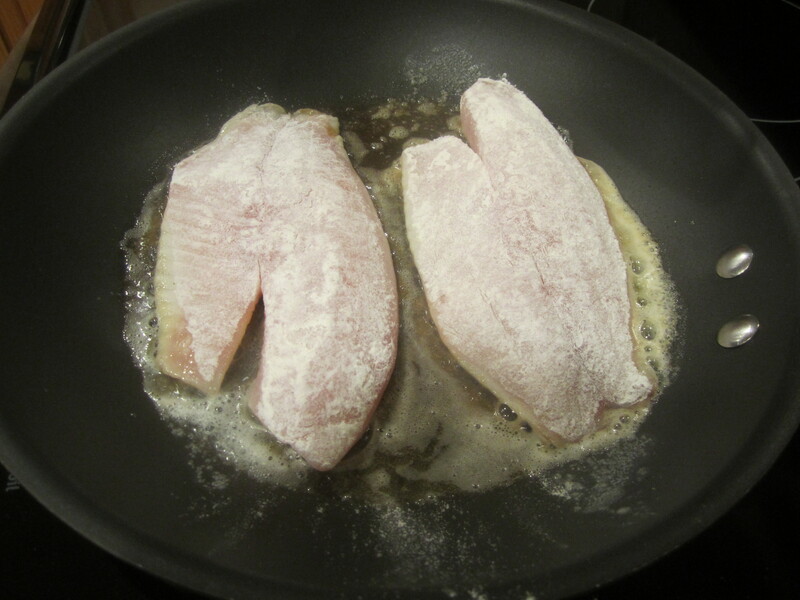 Add fish and cook 2 minutes on each side, until golden brown on both sides and tender. 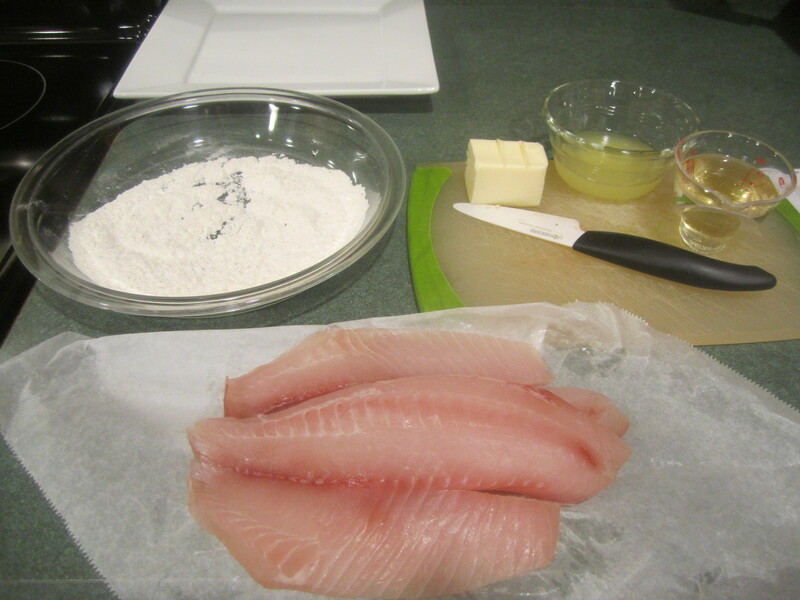 A serving fork or very sharp paring knife should be able to go into the thickest part of the fish, with ease. Remove fish onto a plate and cover with aluminum foil to keep warm. Add wine, lemon juice and capers, if using, to pan and cook for 30 seconds. 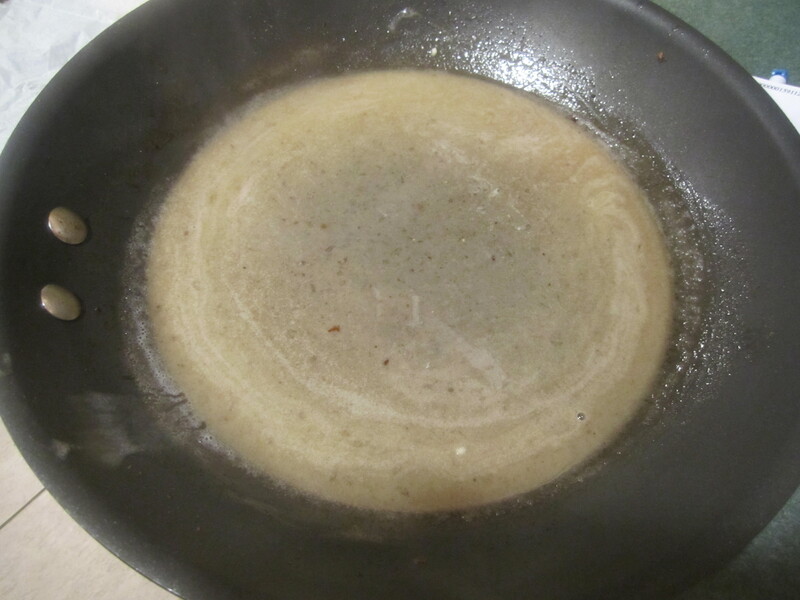 Remove from heat and add the 2 tablespoons of butter, stirring until butter melts. When orzo is done, drain. 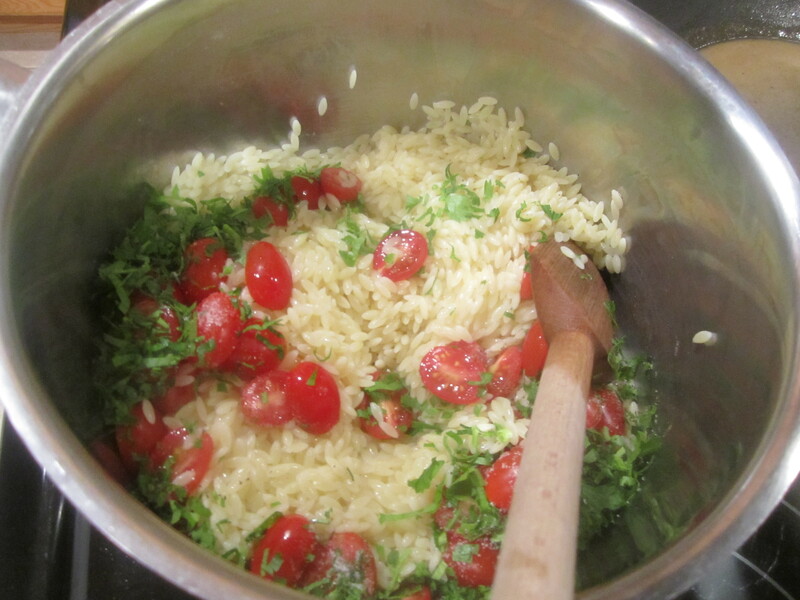 Add tomatoes, parsley, salt and pepper and stir together. Serve immediately with the fish and sauce.